Today I have very exciting news to share with you. Fine art logistics specialist Cadogan Tate has created a new online art gallery that brings together more than 100 of history’s finest artworks in one place for the first time. The free-to-view Timeline of Art allows users to view a collection of paintings chosen from the early Renaissance era, right the way through to more recent works such as Andy Warhol’s famed ‘Pop Art’ collection. The online gallery has been handpicked for art-lovers to expand their artistic horizons without the hassle of having to scour the globe or the web to find and appreciate masterpieces. 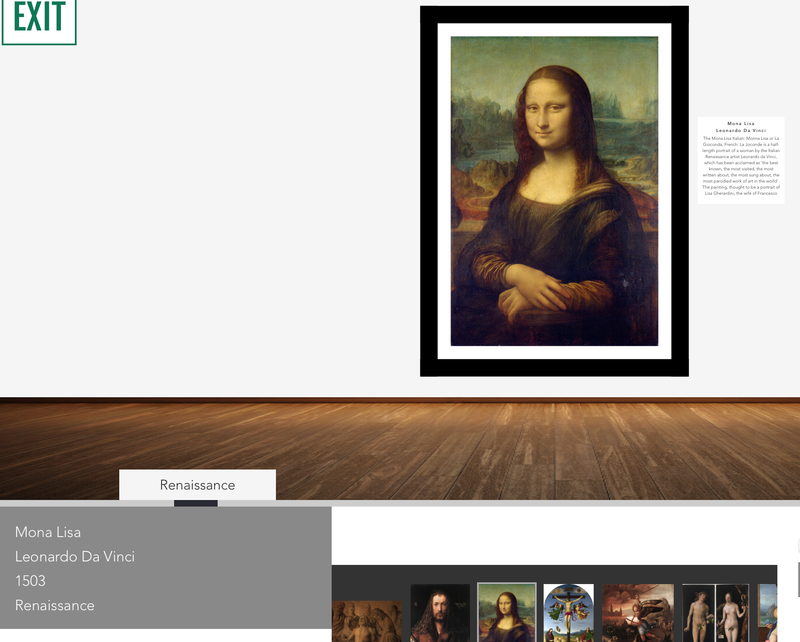 Art enthusiasts can also learn about famous works from as far back as the 15th century through supporting literature within the app. Every one of the 100+ paintings has been handpicked based on customers’ preferences, with the company using quantitative data taken from Google Trends to inform their decision on what should be included in the timeline. The UK search engine’s data reveals the most popular UK searches for paintings online. Topping this list was early Renaissance favourite, the ‘Mona Lisa’ by Leonardo Da Vinci, which is searched for on average 486,000 times a year*. 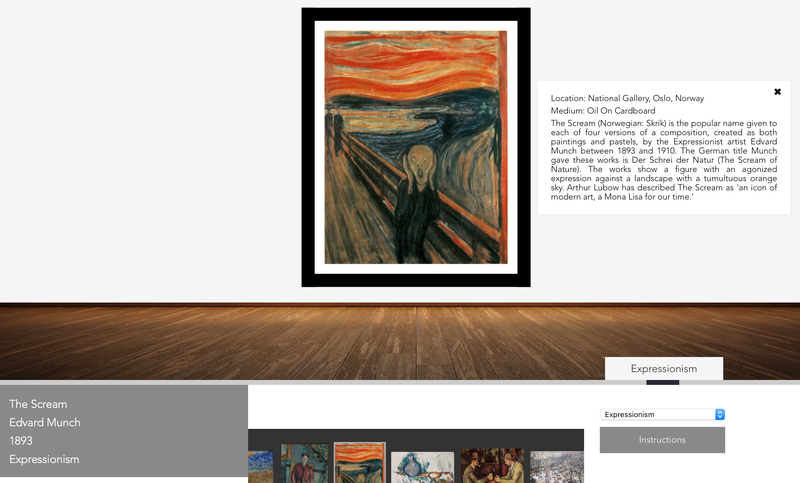 Following this is Edward Munch’s masterpiece, ‘The Scream’, which users search for by name over 145,000 times a year*. 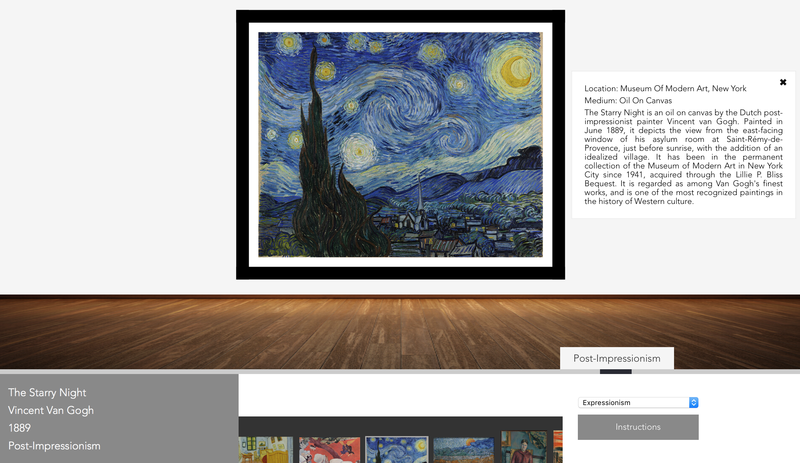 Rounding out the top 3 is Vincent Van Gogh’s ‘Starry Night’, which users search for around 118,800 times annually. So what are you waiting for? You can start this journey right from the comfort of your desk. Posted in Art Reviews and tagged art blogger switzerland, artemporary, cadogan tate, collaboration, contemporary art, online art gallery. Bookmark the permalink.